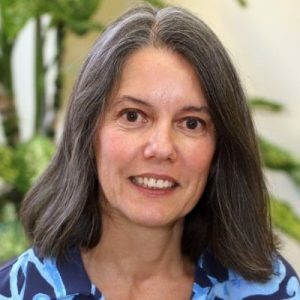 Beatriz M. Carreno is an Associate Professor in Pathology and Laboratory Medicine at the Perelman School of Medicine, University of Pennsylvania. Dr. Carreno obtained a Licenciature in Biology (1981) from Universidad Simon Bolivar University (Caracas, Venezuela), a PhD degree (1989) in Microbiology from Georgetown University and conducted postdoctoral studies (1989-1995) in human immunology at NINDS, NIH and the Genetics Department at Washington University, St Louis, MO. From 1995-2005, Dr. Carreno worked in the Biotech/Pharmaceutical Industry, where she was involved in the development of humanized antibodies directed at costimulatory and checkpoint inhibitor molecules. She is an inventor in 14 patents. In 2005, Dr. Carreno joined the faculty of Division of Oncology at Washington University School of Medicine. Since arriving at Washington University, she has been a member of a multi-disciplinary group of basic scientists and physicians carrying out translational projects in the area of immuno-oncology. Her research interests are centered on questions related to the generation and modulation of human T cell immunity and how these responses can be harnessed to develop better immune therapeutics. Her laboratory develops new approaches for (1) identification of tumor antigens, (2) dendritic cell (DC)-based vaccines and (3) ex-vivo expansion of tumor-specific T cells. She has published more than 60 peer-reviewed manuscripts and book chapters.